Generally found below 3,000 feet elevation (Smith et al. 1997). 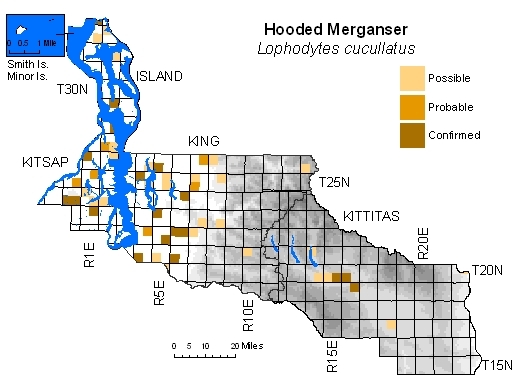 Fairly common in freshwater ponds, sloughs, and slow-moving rivers west of Cascade crest, with highest breeding density in Kitsap and lowland King Counties. Kittitas County records concentrated in Yakima River corridor near Cle Elum, with none in eastern county. 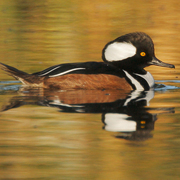 Prefers shallow water with emergent vegetation. Nests in tree cavities and readily utilizes nest boxes.